^ "Seagull city: Sunderland's literary and cultural heritage". Seagull city. 2017-05-24. Retrieved 4 June 2018. ^ a b c d e f g h i j k l m n o Roberts, Jacob (2017). "A Giant of Astronomy". Distillations. 3 (3): 6–11. Retrieved May 16, 2018. ^ Alfred, Randy (December 30, 2009). "Dec. 30, 1924: Hubble Reveals We Are Not Alone". Wired. Retrieved 5 June 2018. ^ esa. 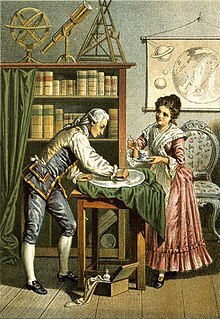 "Caroline and William Herschel: Revealing the invisible". European Space Agency. Retrieved 2016-04-24. ^ a b c d e f Herschel, Caroline (1876). Herschel, Mrs. John, ed. Memoir and Correspondence of Caroline Herschel. London: John Murray, Albermarle Street. ^ Fernie, J. Donald (November–December 2007). The Inimitable Caroline. American Scientist. pp. 486–488. ^ a b Redd, Nola Taylor (September 4, 2012). "Caroline Herschel Biography". Space.com. Retrieved 5 June 2018. ^ Baldwin, Emily. "Caroline Herschel (1750–1848)". www.sheisanastronomer.org. Retrieved 2016-04-24. 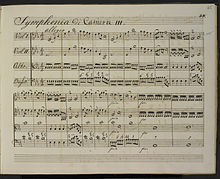 ^ Ceragioli, R. (2018). 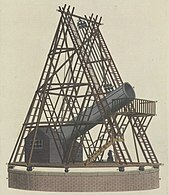 "William Herschel and the "Front-View" Telescopes". In Cunningham, C. The Scientific Legacy of William Herschel. 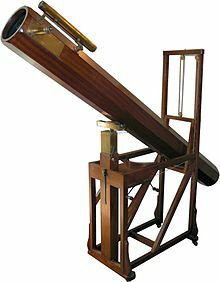 Historical & Cultural Astronomy. Cham: Springer. pp. 97–238. doi:10.1007/978-3-319-32826-3_4. ISBN 978-3-319-32825-6. ^ Franz, Julia (January 1, 2017). 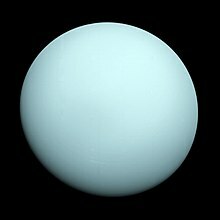 "Why the moons of Uranus are named after characters in Shakespeare". Studio 360. Retrieved 5 June 2018. ^ Williams, Matt (August 24, 2015). "What is the asteroid belt?". Universe Today. Retrieved 5 June 2018. ^ Azzouni, Jody (July 20, 2017). Ontology Without Borders. Oxford University Press. ISBN 9780190622558. Retrieved 17 May 2018. 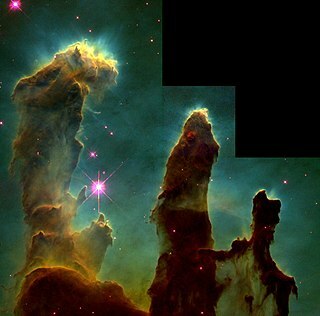 A nebula is an interstellar cloud of dust, hydrogen, helium and other ionized gases. Originally, the term was used to describe any diffuse astronomical object, including galaxies beyond the Milky Way. The Andromeda Galaxy, for instance, was once referred to as the Andromeda Nebula before the true nature of galaxies was confirmed in the early 20th century by Vesto Slipher, Edwin Hubble and others. John Flamsteed FRS was an English astronomer and the first Astronomer Royal. His main achievements were the preparation of a 3,000-star catalogue, Catalogus Britannicus, and a star atlas called Atlas Coelestis, both published posthumously. He also made the first recorded observations of Uranus, although he mistakenly catalogued it as a star, and he laid the foundation stone for the Royal Greenwich Observatory. The New General Catalogue of Nebulae and Clusters of Stars is a catalogue of deep-sky objects compiled by John Louis Emil Dreyer in 1888. It expands upon the cataloguing work of William and Caroline Herschel, and John Herschel's General Catalogue of Nebulae and Clusters of Stars. The NGC contains 7,840 objects, known as the NGC objects. It is one of the largest comprehensive catalogues, as it includes all types of deep space objects, including galaxies, star clusters, emission nebulae and absorption nebulae. Dreyer also published two supplements to the NGC in 1895 and 1908, known as the Index Catalogues, describing a further 5,386 astronomical objects. The Ring Nebula is a planetary nebula in the northern constellation of Lyra. Such objects are formed when a shell of ionized gas is expelled into the surrounding interstellar medium by a red giant star, which was passing through the last stage in its evolution before becoming a white dwarf. Caroline Lucretia Herschel was a German astronomer, whose most significant contributions to astronomy were the discoveries of several comets, including the periodic comet 35P/Herschel–Rigollet, which bears her name. 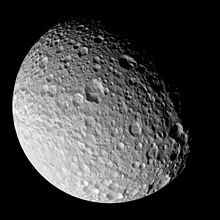 She was the younger sister of astronomer William Herschel, with whom she worked throughout her career. Maximilian Franz Joseph Cornelius "Max" Wolf was a German astronomer and a pioneer in the field of astrophotography. He was chairman of astronomy at the University of Heidelberg and director of the Heidelberg-Königstuhl State Observatory from 1902 until his death. Lewis A. Swift was an American astronomer who discovered 13 comets and 1,248 previously uncatalogued nebulae. 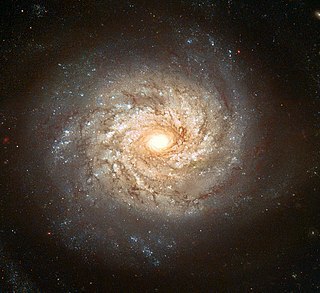 Only William Herschel discovered more nebulae visually. John Louis Emil Dreyer was a British astronomer. 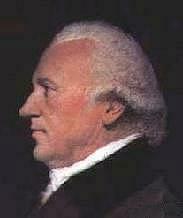 Professor Alexander Stewart Herschel was a British astronomer. NGC 2360, also known as Caroline's Cluster, is an open cluster in the constellation Canis Major. It was discovered on 26 February 1783, by Caroline Herschel who wrote, "A beautiful cluster of pretty compressed stars near 1/2 degree in diameter." Her notes were overlooked until her brother William included the cluster in his 1786 catalogue of 1000 clusters and nebulae and acknowledged her as the discoverer. The cluster lies 3.5 degrees east of Gamma Canis Majoris and less than one degree northwest of the eclipsing binary star R Canis Majoris; it has a combined apparent magnitude of 7.2. It is 13 arc minutes in diameter. By the western edge of the cluster is the unrelated star, 5.5-magnitude HD 56405. James Dunlop FRSE was a Scottish astronomer, noted for his work in Australia. 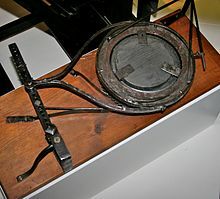 He served as astronomer's assistant who was hired by Sir Thomas Brisbane to work at his private observatory, once located at Paramatta, New South Wales, about 23 kilometres (14 mi) west of Sydney during the 1820s and 1830s. Dunlop was mostly a visual observer, doing stellar astrometry work for Brisbane, and after its completion, then independently discovered and catalogued many new telescopic southern double stars and deep-sky objects. He later became the Superintendent of Paramatta Observatory when it was finally sold to the New South Wales Government.